Everyone’s worried about stopping terrorism. There’s a really easy way: stop participating in it. 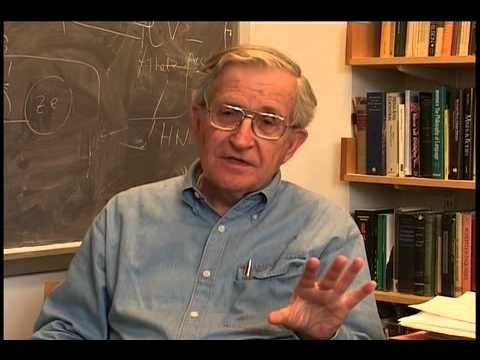 Not so much a documentary as a dialogue, POWER AND TERROR: NOAM CHOMSKY IN OUR TIMES is a companion piece to Chomsky’s 2002 book titled 9-11, which offers an alternate/political-insider view to the September 11, 2001 attacks on the World Trade Center, than the usual Islamophobic-breast-beating-Go-USA tripe that has engorged the Great Unwashed like blood through an erection. Yes, POWER AND TERROR is about 9-11, but not approached in the ways we have grown accustomed to: either as a clinical report of the events or in jingoistic rhetoric; rather an intellectual probing of the world politics in the leadup and aftermath of that infamous day. Haters gonna hate, theorists gonna rant, patriots gonna wear their triangular hats, and the rest of us can glean the terrifying reality from the encyclopedic mind of Chomsky, as he reminds us that there are worse acts of terror perpetrated globally by the very country making a HOME ALONE face and crying “victim” – the USA – but that 9-11 was different because the act of terror was perpetrated against them. Yes, it was a terrible atrocity, but nothing new or even inordinately huge in the scale of the world; and the event is so publicized only because of the identity of the victims; the imperial powers have always been the aggressors, but because the imperial power was the one attacked this time, it’s big news. The rewriting of American terrorist history is as insidious as “Greedo fired first.” A few people still know the truths behind the spin, but as each new generation is bludgeoned over the head with the lie, it becomes entrenched as truth. If the cultural climate of pc-correctness doesn’t convince you, consult the blogs; if they don’t convince you, hell, look at the actual footage. George Lucas re-rendering the special effects in that scene showing Greedo firing first is the perfect metaphor for this ugly brand of American exceptionalism. You gonna believe the truth or your lying eyes? I have no desire to try to convince any readers to heed or listen to or read Chomsky. If you are unaware of the man’s insightful knowledge and computer-like grasp of relationships and links between world events and their ramifications, you are either too young to care, too old to matter, or too Republican to save. This documentary is basically just Chomsky making those connections in constant dialogue – no reenactments or Hollywood cutaways showing what he’s talking about – yet is astoundingly compelling. He has a knack of putting the most convoluted political machinations into simple explanations. Never attribute to conspiracy what can be attributed to stupidity. What does get annoying in this presentation are the mid-30s pseudo-intellectuals taking things way too seriously after Chomsky’s lectures and asking him questions past his exhaustion. He is trapped not more than five feet from the stage podium because his frothing fans just will not let him get off after the lecture is concluded, bludgeoning him with further discussion, autographs, pictures, theories and irrelevancies. It’s one thing to star-worship someone, but prove how smart you really are and have the decency to drop the dialogue and let the man get his warm milk and hot bath before the black helicopters come for him. 9-11: Was There An Alternative? ♦ Noam Chomsky The original 2001 book was updated in 2011 with the subtitle “Was There An Alternative?” and an added essay after Osama bin Laden’s death (or “death,” as I would put it).